Information Technology Services (ITS) provides a private Cloud storage, a file, and document sharing utility similar to the popular Dropbox, for use by the ICTS community. 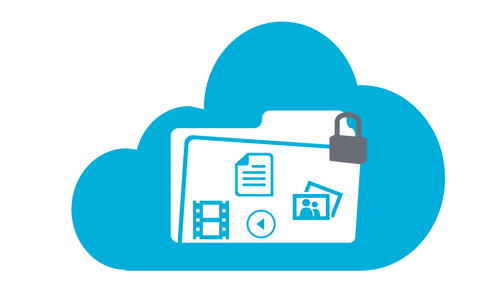 The utility supports storing and sharing of files, images, documents, contacts, and tasks etc. It also supports version control and syncing with Windows/Linux/Mac desktops, Android and iOS-based devices. 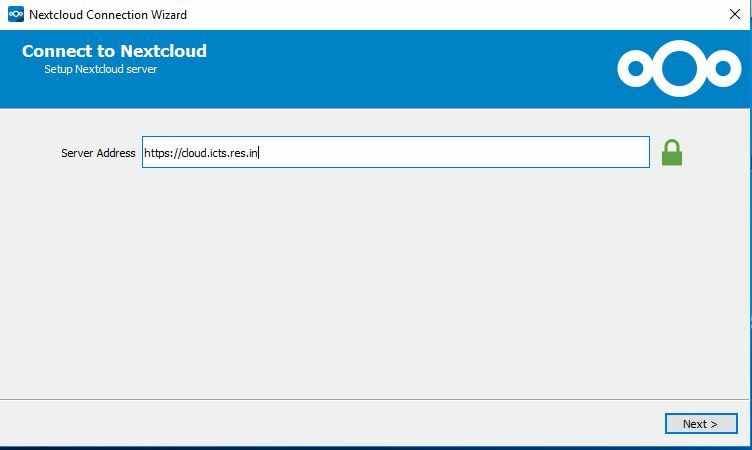 The ICTS private cloud is based on an open source, self-hosted file share and communication platform i.e Nextcloud. 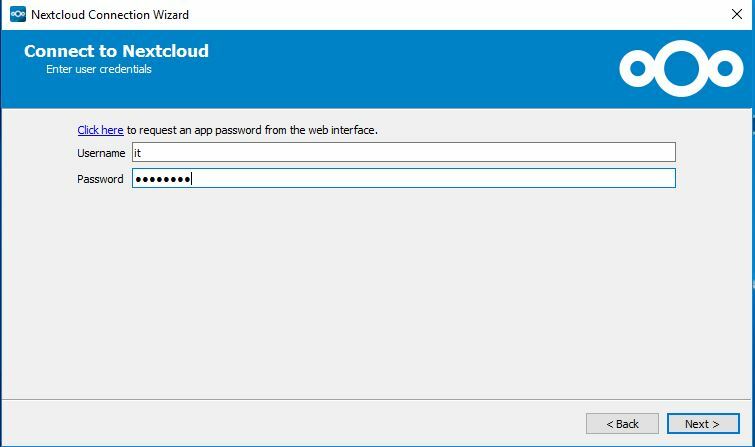 Please see Nextcloud features page for details >>. Currently, all ICTS-One-Account users have 500GB of available storage. The cloud web portal is available at https://cloud.icts.res.in from both within and outside ICTS campus. Note: The cloud storage service will be running as the beta version for next couple of days. If you encounter a bug in the cloud service, please report it to us. That's it, the client is installed. Visit: https://nextcloud.com/install/#install-clients and click on the Mac version. Launch (or “open”) the downloaded file. The install process is then the same as any other program. Just click “Next” repeatedly until it’s done. Visit: https://nextcloud.com/install/#install-clients and click on the Windows version. Visit: https://nextcloud.com/install/#install-clients and click on the </> Install Mobile Apps tab or find the beta app links the below. The Nextcloud mobile apps are available in various app stores. The apps allow you to access, sync and upload your data and feature instant upload for photos and videos, upload management and more features. Enter that and click “Next” and then enter your ICTS-One-Account Username and Password. Click on “Connect” and you’re good to go. You will be presented with the option to open Nextcloud in either a browser or a local folder. The local folder option will open your file manager in the directory you configured for syncing. Any file or folder you add to the Nextcloud folder will automatically sync with your account on the Nextcloud server. 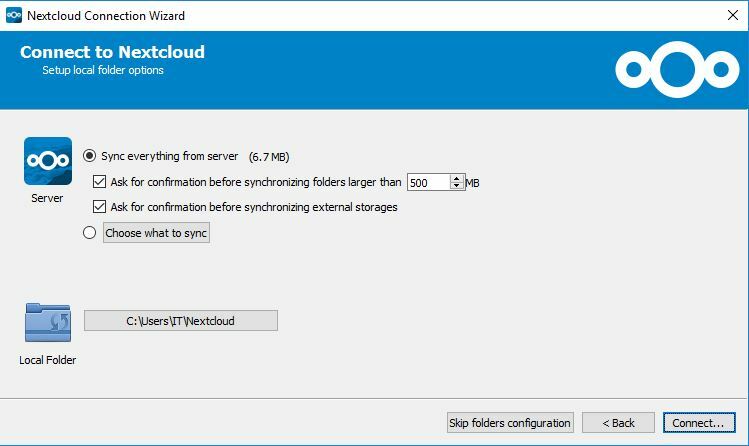 Because the sync is two-way, anything you add to your Nextcloud account on the server will automatically sync to your desktop).